← Do we need mHealth to communicate the benefits of connecting everything? Apple App Store, Bant App, Bedsider, CVS Pharmacy (MyCVS On the Go), Doctor Mole Skin Cancer App for Android, Drugs.com Pill Reminder App, EndoGoddess iPhone App (“Powered by eProximity and DuetHealth”), FitBit, Florida Hospital ER Wait Times (iPhone App), Genentech (iPhone App), Glowcaps, Glucose Buddy, Google Play Store, Happtique, iBGStar, iCondom, MemoText, Microsoft HealthVault, PillBoxie, Quest Diagnostics (Gazelle), Runkeeper iPhone App, Text4Baby, WallGreens Mobile (Text Alerts), WebMD (iPhone App) and Withings. 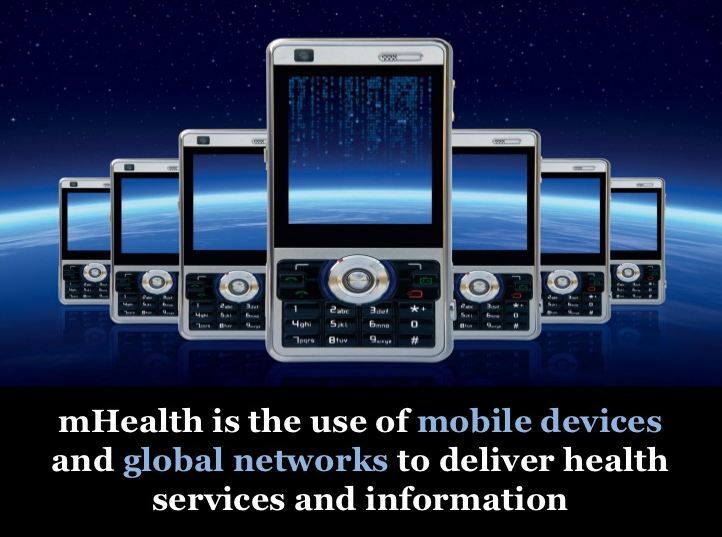 “AND”: In many key mHealth examples we don’t see the use of mobile devices AND global networks. For example many don’t use the network at all (eg. rich medical text book content that’s side loaded via a SD card) whilst others don’t use the device at all (eg. predictive network technologies). “Mobile Devices”: I feel this presents a limitation to mHealth that will become increasingly obvious as we witness the rapid growth of M2M tech connecting things which aren’t meant to be mobile (eg. smoke/CO, care monitors, weighing scales, etc) or would be confusing if we started to refer to it as a “mobile device” (eg. an implantable device, a stretcher, talking bathroom scales, etc). “Global Networks“: I feel this presents a limitation to mHealth that will increase as we see mobile devices increasingly connecting to local networks and the healthcare market is a leader in innovations in this area eg. the virtual GSM network at University College London Hospital in the UK, the WiFi device-to-mobile connection of a Withings weigh scale, the low power connection of a Alivecor ECG case, etc. I’m surprised to see so much weight being given to what surveyed consumers might want to do rather than what patients are already doing. 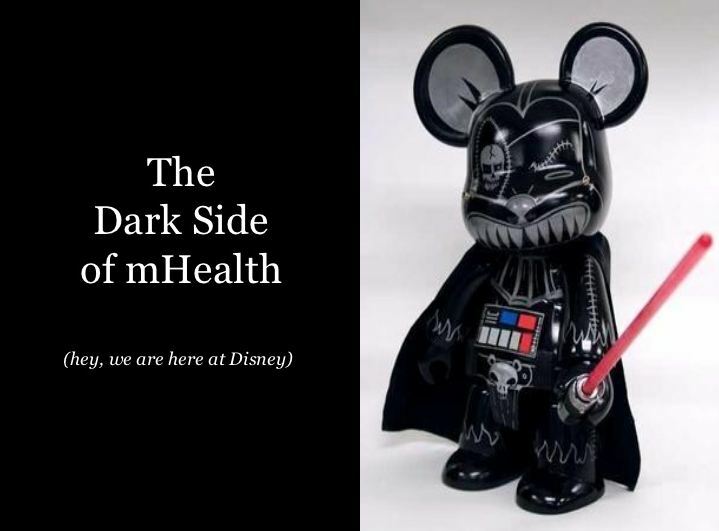 I think the slidedeck could be improved by the addition of some mHealth market success stories eg. the incredible rate of adoption of Kaiser Permanente’s mHealth services by patients (KP is the first major healthcare brand to take a mobile first strategy). I’ve commented on this inaccurate reporting of mHealth statistics by Pew analysts before. It’s flawed because it’s based on the idea that an app is not an app if it’s not downloaded. 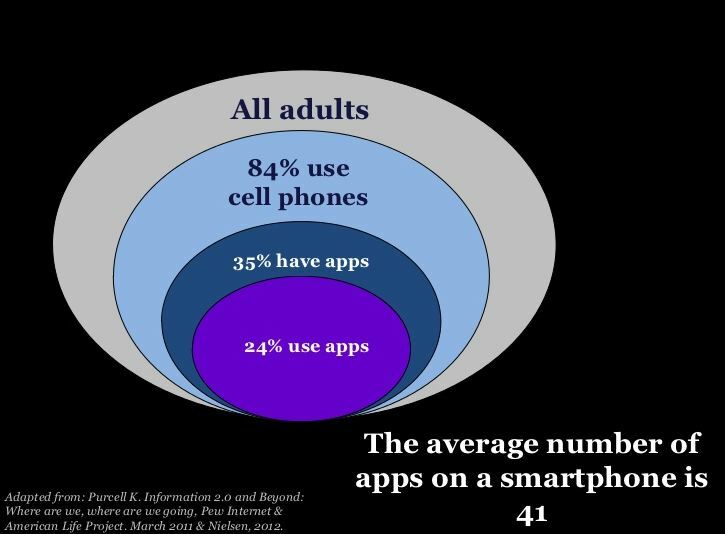 Many apps are increasingly “native” (eg. preinstalled on the device so they work out of the box) and when you realise this you realise that app use is much greater eg. it’s hard to find anyone who doesn’t use the SMS app (mobile network operators now use this to send notifications to customers so even those who dont’ actively use SMS already use it albeit in a read only manner), at least 50% use the camera app, etc. 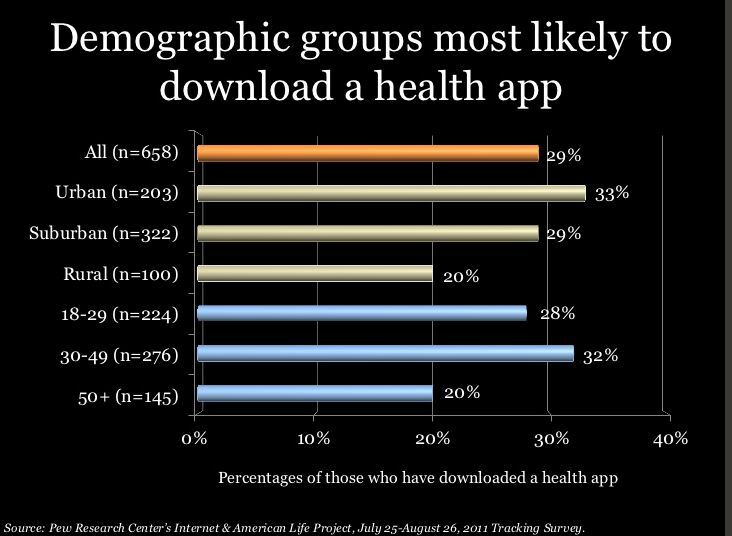 This slide amplifies the error carried forward that we get from making the presumption that it’s only downloadable apps that are important and that a health app is easily recognisable eg. in my experience you are more likely to find an adult aged 50+ using their native calendar or alarm app to get a reminder for a Doctor appointment or to take a medication, or visiting a healthcare information website as you would be able to find a 18-29 year old downloading a specific health app. 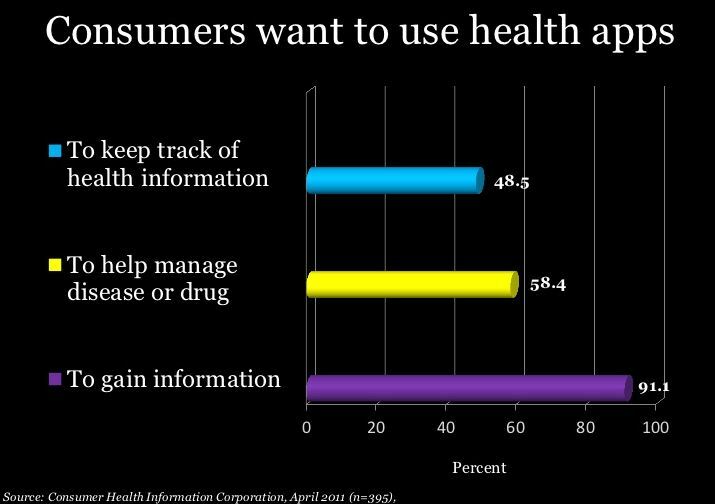 This will also become increasingly significant as we see strategies from the big smartphone manufacturers to take mHealth apps native eg. Samsung with S Health. Surely there can be no mention of the mHealth relevance of HealthVault in North America without a reference to the partnership with Canadian telco giant Telus? 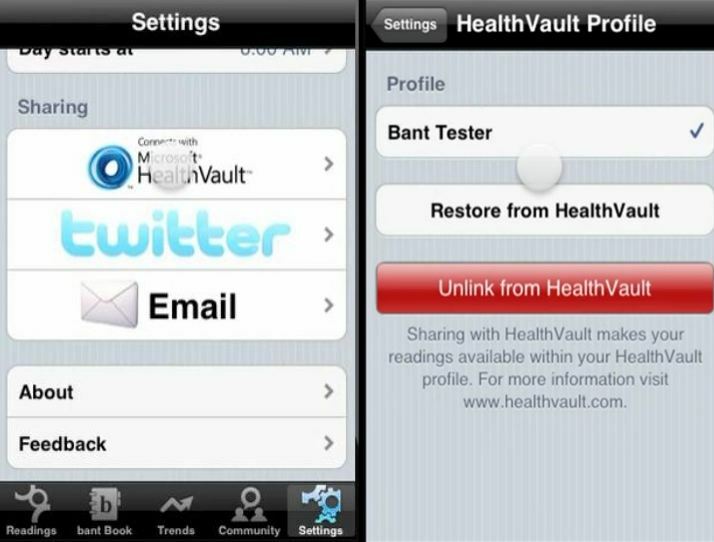 Still very positive to see the work of app developers who have developed for HealthVault being profiled eg. the diabetes management app “Bant”. 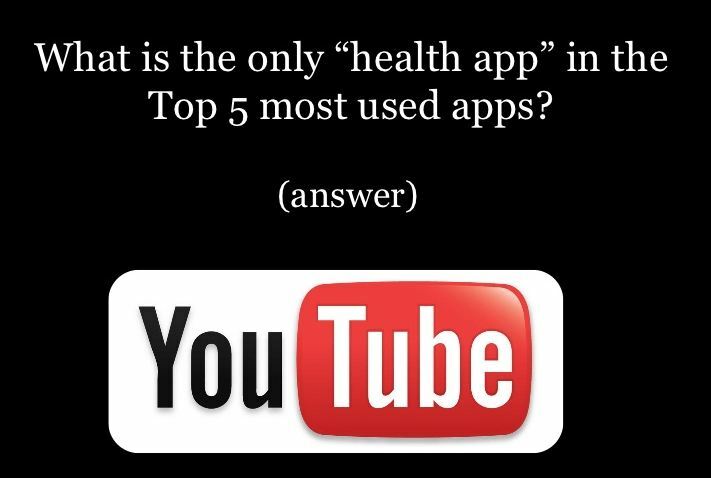 I find it surprising that there is no mention in the entire slidedeck of Doctors sharing video content with patients. Great to see the potential downsides getting a mention and while I’m sure there’s not space for an exhaustive list I’m surprised that there’s no mention of advertising as it tops the bill of concerns that I hear talked about by healthcare professionals who are engaging with their patients via mobile. Anything else I’d have liked to have seen? While I appreciate the detailed review of slides from the presentation that I recently gave at the Florida Society of Health System Pharmacists (FSHP) Annual Meeting, I am writing to address a few of your comments. Concerning the definition of mHealth, I still favor the one provided as it features two of mHealth’s key aspects: devices and networks. Arguably a less elegant, but perhaps more correct from a Boolean perspective, version of “and/or” could have joined the two in the definition. I chose not to do so and as is likely obvious, the depth of my live comments in any presentation for each slide surpass the handful of words on any given slide in the deck. Other than your assertions about the Pew data (which I will not address here, as any thoughtful response would likely eclipse the length of the original post), I found many of your comments a bit UK- or Canada-centric given that the audience of this talk was clinicians from one state in the US. For instance, it was actually easy to not mention Telus Health Space, etc. 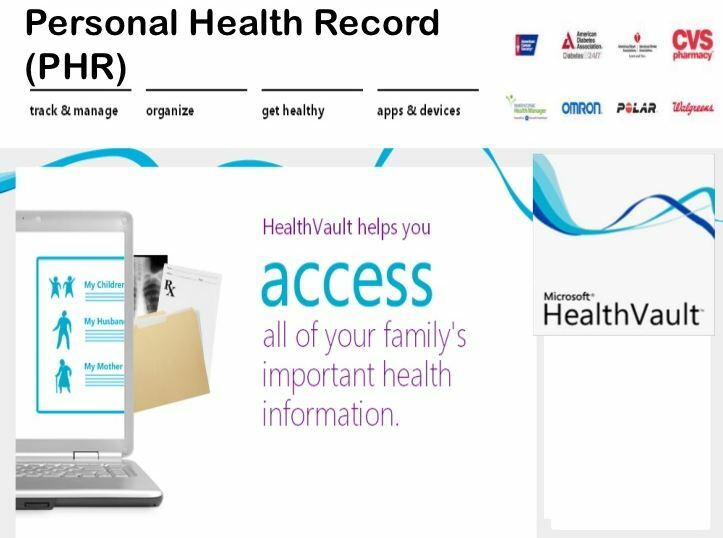 relative to HealthVault due to its irrelevance in this context. Similarly, the assertion that mobile has “killed [pharmacists] business model” and should have been included in the presentation is off-base for two reasons: 1) the model of pharmacy practice in the US is so drastically different in fundamental ways from those in the UK and Canada as to negate direct comparison (e.g., Canada just recently began offering its first clinical PharmD degree program per their expert panelists I served alongside) and 2) your statements about business model are specific to the community pharmacy setting, whereas this conference (i.e., FSHP) is attended by health system pharmacists. Some of your other comments are specific to slides or absence thereof, many of which were discussed during the presentation itself (e.g., use of HIPAA-compliant, enterprise configuration of FaceTime to allow for patient-provider communications, sharing of video content with patients) although some were not (e.g., advertising). Thanks for your comments, I only wish the organisers had video recorded the event (like for example the FNIH did at the mHealth Summit). While I can imagine I’m much more interested in where the rubber meets the road than a Director in Health Informatics Research I’d be careful not to dismiss this as irrelevant. In all likelihood the vast majority of your audience spends their working day using Microsoft software, already more than 5 million patients in Canada can access their HealthVault records (because of Telus Health Space) and this is making for a very large addressable market that enables consumer mHealth apps to cross the chasm and start connecting patients, their mHealth apps, mobile devices, data and care providers. BANT – the diabetes management app that you profiled – is a very good example of this happening eg. in February last year teenagers using this with their care teams at Toronto’s Hospital for Sick Children. With all the big US Telcos having major mHealth commitments (eg. AT&T mHealth Solutions, Verizon) it’s only a matter of time before we see a carrier there also take the initiative with a HealthVault collaboration. I don’t share your confidence that Pharmacists in the USA are protected from the changes in the retail pharmacy market. The direct to home model has blossomed not only because of the internet but also because of the decreasing profits in shopping mall premises (these where impacted by the loss of revenue engines like photo development services and their associated footfall which made them vulnerable to becoming loss leaders for supermarkets) and continued pricing pressures have helped drive demand for the indirect distribution markets from which most of the problems with counterfeiting, product tracking and mishandled medications arise. 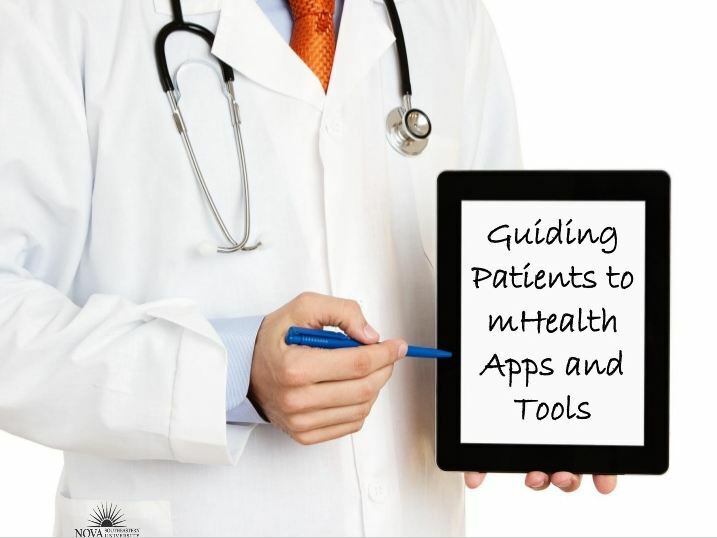 Pingback: How to make sense of #mHealth?